Martechnic specializes in oil quality management and provides engineers and users with on-site analysis equipment for condition monitoring of lubricant and hydraulic oil, such as marine distillate and marine residual fuels. Crucial oil parameters can get measured either regularly with the help of portable oil test devices and test kits or on a continuous basis employing permanently installed advanced sensor technology. The key advantages Martechnic offers its customers include quick and precise information on any occurring changes or abnormal processes in the engine oil condition, effective decision-making on corresponding actions, as well as proper oil system predictive maintenance and the possibility to ensure optimal performance of critical machinery. Fast and individual response, customer-specific applications and tailor-made solutions, efficient order processing and comprehensive logistic support relate to Martechnic’s principal business lines. A variety of portable test devices and test kits is developed and designed by Martechnic to check directly on-site and beyond laboratory practice such essential parameters of lube and hydraulic oil as water-in-oil, alkalinity reserve (BN, TBN), viscosity, density and contamination with insoluble or metal particles. Regular verification on the basis of trend analysis enables early detection of irregularities in the oil condition. Quick and accurate test results with possibility of immediate assessment help to effectively implement condition-based maintenance programs. To support vessels with their own on-board oil analysis laboratory, Martechnic supplies a Fuel and Lube Oil Test Cabinet, which contains a selection of portable test devices for easy and fast condition analysis of all principal parameters of fuel, lube and hydraulic oil. Owing to instant availability of test results, the quality of the delivered bunker fuel and the condition of lubricants and hydraulic oil in use can be regularly monitored and promptly evaluated. This helps to ensure the smooth operation of constituent engine parts as well as provides immediate decisions regarding maintenance, including the possibility of prolonging maintenance intervals. Accurate results of oil condition analysis imply the availability of representative oil samples. Martechnic offers a full range of sample bottles, cubitainers, drip samplers and sampling kits elaborated for safe collection, retention and transport of representative samples of fuel, lube and hydraulic oil. Sampling bottles differ in size, shape and material depending on the oil to be tested. All sampling equipment for fuel oil samples is in compliance with MARPOL Annex VI requirements. For collection of primary bunker fuel samples during bunkering, Martechnic supplies manual-valve drip samplers equipped with cubitainers which are attached and reliably protected from tampering and contamination through the special sealing system. Safe storage of retained fuel oil samples is achieved by means of a combination of sampling bottle, proper label made of tear resistant and tamper proof material and individually numbered sealing. Martechnic’s Sampling Kit is a vacuum hand pump with a flexible tube coupled with an adaptor at a sample bottle. The kit is suitable for sampling collection from different parts of the oil tank, and can be applied to determine free water in the oil tank and possible ongoing friction processes. Undetected changes in condition of lubricating and hydraulic oil can cause malfunctions in machinery systems. Installation of on-line or in-line sensors provides continuous 24/7 monitoring of essential oil parameters and enables real-time detection and tracking of any occurring changes. Martechnic has developed a Modular Monitoring System, which encompasses various sensors (viscosity, particle, humidity, FE and water-in-oil sensors) and due to its modular design can be installed in accordance with individual customer-specific application needs. On-board a vessel, the sensors can be installed for controlling the oil condition in generators, main engines and hydraulic systems. The possibility to set an individual alarm level for each oil parameter under surveillance enables an immediate warning as soon as the critical range is reached, allowing immediate corresponding actions and determination of the root cause of the problem. All the sensors can be connected with the all-purpose display and data processing unit Datalogger for easy recording, transmitting, displaying, reading and storing of the data. For continuous monitoring of absolute content of water in lubricants Martechnic has developed the AHHOI – Infrared Water-in Oil Sensor. Installed in the bypass, the sensor measures water molecules present in oil up to 10,000ppm / 1.0% vol. irrespective of the state of water: saturated, emulsified or free. The sensor can be used in a combination with a manifold for monitoring the condition of up to four engines (for example the main engine, hydraulic systems or stern tube seals). Martechnic offers ultrasonic cleaning tanks, generators, submersible transducers and cleaning liquid for safe, thorough and efficient cleaning of different engine parts (for example, cylinder covers, coolers, valves, lube and fuel oil filters) and in particular difficult-to-reach areas. Alongside standard sizes, customized options can be ordered. Martechnic® designs and develops innovative technical solutions, including equipment and services for conducting continuous and preventive maintenance of critical parts of various engine systems. In order to provide continuous and comprehensive assessment of the quality of lubricating and hydraulic oils, Martechnic® has created the MT Modular Monitoring System; an assembly of various sensors that measure different oil parameters in real-time mode. Upon delivery the quality of bunker fuel has to be assessed taking into consideration its density, stability and compatibility parameters. The test device TWIN CHECK 4.0 has been developed and designed by Martechnic® in the framework of the digitalisation concept to provide customers with a cost-effective technical solution for regular on-site measurements of two critical oil parameters. An insight into Martechnic’s products and technical solutions for effective management of fuel, lube and hydraulic oil condition. On-site analysis equipment provides engineers and users with precise measurement of critical oil parameters. Martechnic® offers a range of mineral oil test kits that allow clients to promptly test and evaluate fuel, lube and hydraulic fluids on-site. The paper offers the practical example of trend analysis application with regard to two monitoring methods of water-in-oil concentration: regular (with improved and upgraded portable test device TWIN CHECK 4.0) and continuous (with advanced infrared sensor AHHOI). Internationally recognised standards on protection of marine environment and the corresponding legislation adopted by the US Environmental Protection Agency (EPA) in 2013 'vessel general permit' (VGP) limit the application of traditional mineral based oils for vessels entering the US waters and establish instead the necessity of use of environmentally acceptable lubricants for machinery parts below the waterline (such as stern tube bearings, thruster gearboxes and horizontal stabilisers). Most contamination of lube oil is through water that causes problems and damage in machines and engines. Martechnic provides oil quality management products for lubricant and hydraulic oil, including marine distillate and residual fuels. The first MEERKONTAKTE exhibition Maritime Cluster Norddeutschland is taking place in Kiel, Germany, on 8-9 November and Martechnic will be exhibiting. In 1997 began the successful story of Martechnic. Founded by today's managing director Ingo Herholdt, at Schnackenburgallee in Hamburg, the company grew rapidly, so that they moved to the current location, Adlerhorst 4. Meanwhile, his son, Frank Herholdt, has joined the management. Like last year, Martechnic© will be part of the Marine Maintenance World Expo taking place in Amsterdam from 6-8 June 2017. The trade fair and conference is a meeting place for companies dealing with international maintenance and repair technologies in shipping. Mr. Herholdt from Martechnic© and their partner Goltens Group are looking forward to your visit at booth 4020. From 6 to 7 April 2017, Martechnic is traditionally exhibiting at the specialized marine technical trade show in the Eastern Mediterranean - the 8th East Med Marine and Oil & Gas Exhibition in Limassol, Cyprus. Starting from November 2016, Martechnic is officially appointed as an authorised agent of the Goltens Group on the German market. Taking this new step, the Hamburg-based company further broadens the spheres of its business activities in the oil quality management and condition monitoring of fuel, lubricating and hydraulic oil and adds to its profile the representation of Goltens' on-site services of diesel engines and related equipment. From 31 October to 2 November 2016, Martechnic® will attend the largest exhibition of the international shipping industry in the Middle East area - the Seatrade Maritime Middle East in Dubai, UAE. The company will share the joint stand of its regional business partner of many years - the M.I.E. Overseas and would like to invite all visitors and participants to attend the stand L13. This year SMM, the leading international trade fair, had its main focus on innovative technical solutions, and in particular digital transformation for the maritime sector. In the context of difficult market situation and current challenges faced by global shipping industry, automation and digitalisation are regarded as potential long-term benefits which the concept of 'Industry 4.0' offers. As a preview to SMM 2016 and its special theme 'Digitalisation' Martechnic® is ready to present its newly developed Industry 4.0 concept in the area of portable test devices for on-site quality management of fuel, lube and hydraulic oil. This year the company has been focusing on digital technology development and will be showcasing its two new smart products at SMM. Martechnic® is a leading expert in the area of oil quality management and offers engineers, ship operators and users effective technical solutions for direct on-site monitoring of fuel, lube and hydraulic oil condition. Martechnic® will present its new test kit Iron Check E; an electronic version of the proved measurement method of iron content in cylinder drain oil. In June 2016, Martechnic® will be a part of two major international trade shows in Europe and will be exhibiting a wide range of its products designed to provide engineers and users with effective technical solutions for on-site oil quality management. One of the objectives of ensuring the required quality of the heavy fuel oil on board of a vessel is to monitor it for the presence of cat fines. As cat fines are extremely abrasive particles of various sizes that can cause severe damages to the components of the engine system, the bunker fuel oil undergoes a purifying procedure in a separator prior to being used for a vessel's engine operation. For upgrading, and for a continuous assessment of iron content in lube oil, the FE Sensor can be applied in the MT Modular Monitoring System from Martechnic®. 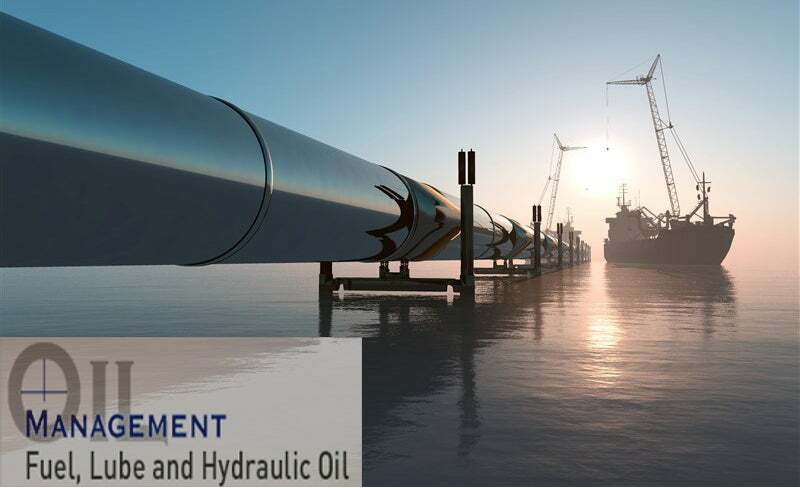 As oil condition, especially lube oil condition, is still one of the most important topics in shipping, Martechnic® is working on technical solutions to further develop products. Martechnic® has announced it will be at the Marine Maintenance World Expo in Brussels. The world's only exhibition and conference dedicated to marine maintenance, repair tools, technologies and services, opens its doors from 14 - 16 October, with more than 50 speakers presenting must-see papers. To determine the significance of iron content in lube oil, especially with regard to cylinder drain oil, Martechnic has developed an easy-to-handle iron test. The most common contaminate of lube oil is water that causes problems and damage in machines and engines.